We didn’t have a cheap wedding. But spending money on a great photographer and venue – while it’s important for you – doesn’t always ensure that your guests will have a great time. I’ve been to weddings that cost $40,000 where I left early and ones that cost $10,000 where danced all night. 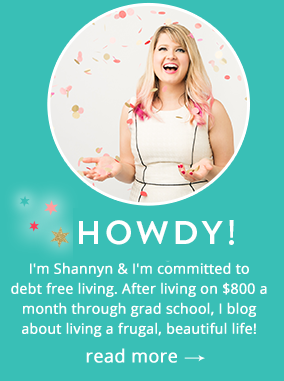 Yes, if your idea of being frugal is to skimp on alcohol and food, no amount of love will compel your guests to stay. 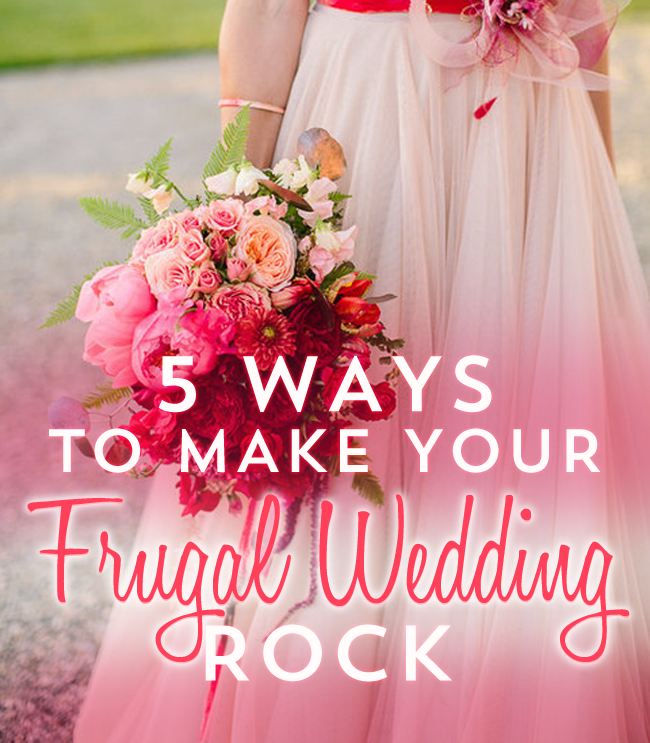 But despite that, there are ways to have a frugal and fun wedding. One of the best ways to have a fun – but cheap – wedding is to have great music. One key is to choose music that everyone can dance to. This doesn’t mean that you have to play the same songs that you hear at every shindig. But while you’re choosing the favorites, throw in songs that your Aunt Carol doesn’t know, but has a beat that she can groove to. At my wedding, I saw my parents dancing to the same songs that my friends are – and vice versa. It didn’t matter if mom had no idea who she was listening. It was a groove she could get down to. Too often brides focus on the cake toppers. While it’s cute to see a bride bear and groom bear (or whatever your theme is), it’s not something that will make your grandmother not want to leave early. A personal ceremony is an easy way to get the crowd really feeling emotions at your wedding. If you’re having a friend act as the officiant, ask him to do a reading from your favorite children’s book (we chose “The Velveteen Rabbit”). We decided to write our own vows, which brought everyone (including some manly groomsmen) to tears. A personal ceremony can set the tone for the rest of the evening. It carries through to the speeches and first dances. It helps people remember that they’re not there just to party and give you presents – they’re there to watch you start a life. At my wedding, we had 5 speeches at the reception. That’s not including the fact that both my husband and I also said a few words. Yes, we ran late and didn’t get to hear our entire playlist. But the love that flowed through everyone was so powerful. If you want your brother to say something even though he’s not the best man, ask him. If both dads want to give a speech, have them. If people want to talk, it’s usually because they have something to say. I didn’t cry at all at my wedding until my dad gave his toast. I kept crying through my father-in-law’s speech and even during my own. You want to make sure that anyone talking actually wants to say something and tell them that concise is usually better. But speeches are an easy way to add more personality without extra cash. People can tell when you’re having a Pinterest that looks beautiful, or when you’re having a wedding that reflects your personalities and relationship. They want to celebrate your love, not the arts and crafts that you’ve been working on for months. I so agree about the ceremony! My husband and I wrote our entire ceremony together and it made it so special! That sounds amazing! Our officiant did such a great job he had offers from other couples after being at our wedding. It really does make a huge difference! I’ve been to weddings with speeches where i had to listen to basically a review of every class the groom and best man ever attended together in college. It was so incredibly boring. And other speeches full of inside jokes that left everyone except the two people involved puzzled. I think the difference with ours is that my husband and I happen to be friends with lots of amazing writers, so that definitely helped! I’ve been to weddings with few speeches or ones that weren’t well done and it definitely changes the tone. Helps to have friends who also went to journalism school! “Too often brides focus on the cake toppers.”UGH SO MUCH YES! Love these tips! Music is important to us, so we chose our DJ even before choosing our venue! Haha. Never thought about doing something different with the speeches or ceremony. We are trying to find a way to hack the music cost right now. I love bands (and think a band may be cheaper to secure in December) but I can’t justify spending thousands of dollars. Did you have a band?